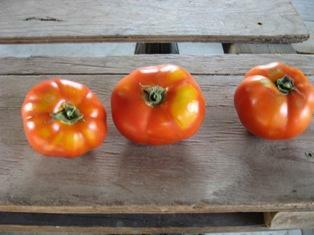 The first of the tomatoes are coming your way this week while other warm weather favorites continue to fill your boxes. Enjoy! We are now taking down-payments for half and whole hogs for October/November. Place your order through our online store at FarmMatch. Michigan blueberries: will be delivered Thursday, July 26th ONLY to Thursday sites, East Troy, or the farm. Wisconsin blueberries: will be delivered to regular Wednesday and Thursday sites. Contact Janet at farmmanager@turtlecreekgardenscsa.com with any questions about blueberries or hog orders. This childhood nursery rhyme in particular (for some of us in another generation) depicts the fate of pigs, but also attributes a human quality to pigs, that of eating roast beef--which in reality they would do, given an opportunity--and perhaps that was the meaning of that part of the rhyme, after all. But somewhere along the line, perhaps in stories such as Charlotte’s Web and animated films like Babe, farms came to be depicted as something little short of cruel. Well, maybe that’s rather harsh, but I think our relationship to farms and our view of the role animals have on farms have become skewed, to say the least. Yes, we do come to love our animals, care about their welfare, and at the same time realize that animals are absolutely without a doubt essential for a holistic and sustainable agricultural system. Animals are not emancipated from them and not isolated into mysterious buildings, out of sight, out of mind. We need to build a healthy relationship with our animals and enter a spiritual and empathetic relationship with life and death, sacrifice and life. This is what makes us human and humane. We raise our pigs so they are incorporated into our system to be utilitarian, economic, and just plain ol’ amusing and gratifying. Given the right environment, our pigs thrive: they are happy, playful, and enjoy their life. They are given a plot of land that needs to be reconditioned to return to it our cropping system. 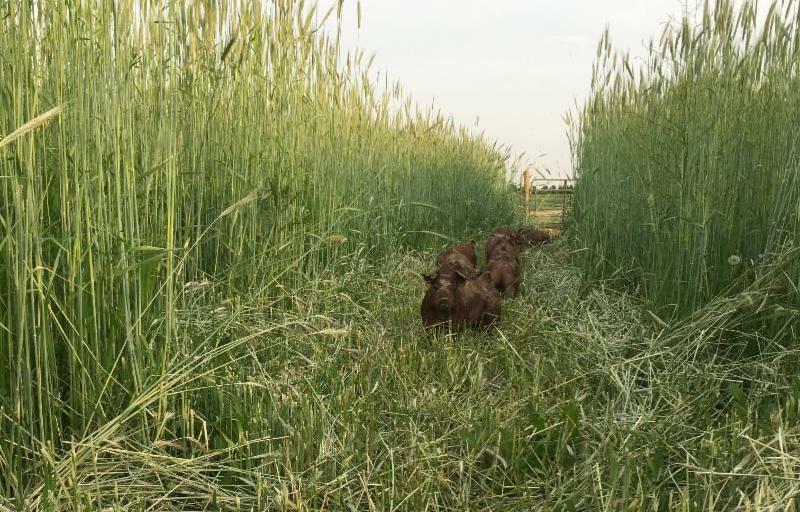 They root out all the noxious weeds and fertilize the soil. They work with us to reclaim what nature tries to correct and we just help the correction along in this symbiotic relationship. 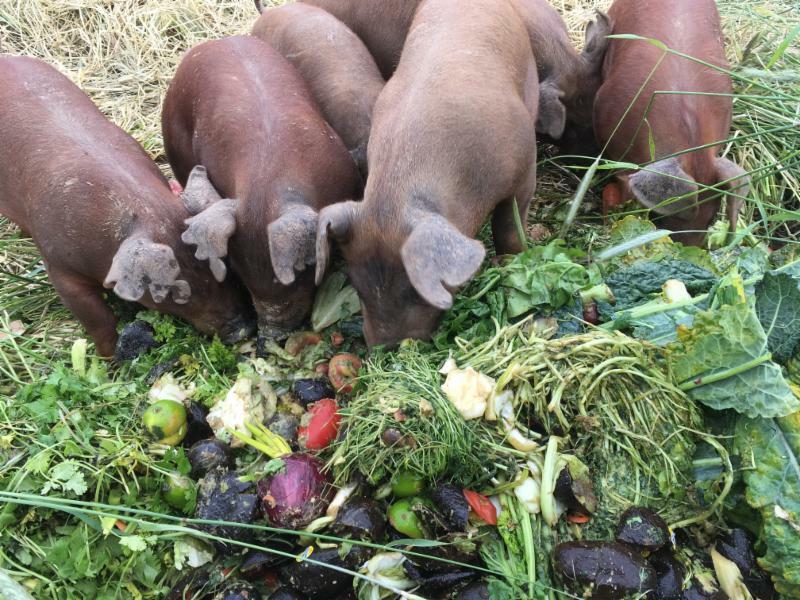 We also feed our pigs local grains and food waste from our farm and from Good Harvest Market. Good Harvest Market has a 100% organic produce department, a feat not many stores achieve. They source a good deal of local Wisconsin organic produce and Turtle Creek is one of those suppliers. Good Harvest’s produce waste comes from what they pull off the shelves (overripe, etc.) to the trimmings generated by pre-cut ready-to-go fruits and vegetables (all organic). We can bring back 4 to 5 full 50-gallon barrels of vegetable/fruit waste per week for the animals. In addition, we take milk, other dairy products, and bread waste. These animals have the most well-rounded, balanced diet--more than most humans. If you think about the nutrient-cycling occurring through this process, it’s a pretty cool picture. We grow the produce, take it to market, and the waste comes back to the farm and either gets composted or goes through the pigs in the form fuel/nutrition, becomes excrement, and the cycle continues. I think as consumers/citizens we need to be aware of some things in our agricultural system which we could all become more involved with. One is to stop animal confinement operations and promote healthy land-to-animal ratios that avoid over-crowding as well as to promote environments that give animals access to outdoors, pasture, and soil. It is our responsibility to treat animals as intended, to re-create an environment that enhances life, not threatens it, and to continue to support farms that make these vital philosophical decisions for the sake of humanity. To prepare for fresh or cooked use: cut off stalks (if present) Remove any tough outer layers from bulb. Remove triangular core with a paring knife. 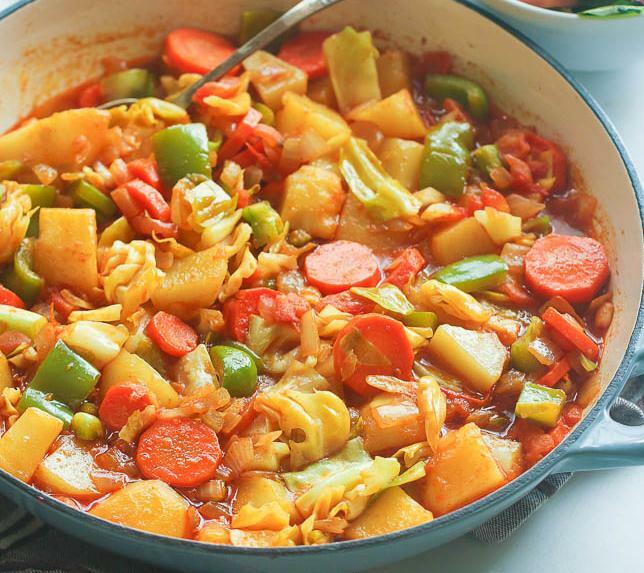 Fennel pairs well with: apples; beets; cabbage; celery; cheeses such as Fontina, Parmesan, Romano, chicken, citrus fruits and citrus-based vinaigrettes; cream; fatty fish; garlic; mussels; olives and olive oil; sausage; potatoes; thyme; and tomatoes. Reserve trimmings and use as garnish for soups, stews, and pastas. 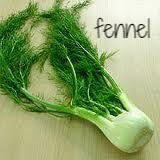 The stalks may be used to flavor to stocks or stuffed into the cavity of roasted poultry or fish. Caramelize with onion and top a pizza or sandwich/wrap. Roast with chicken, fish, or potatoes. 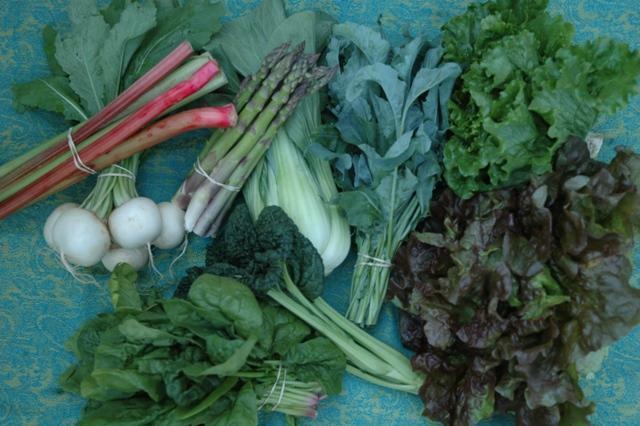 Add slivers or shavings of fresh bulb to salads and slaws. Slice bulb in half lengthwise, coat with olive oil plus salt and pepper to taste, and grill over medium-high heat for about 4 minutes per side. In a large saucepan or Dutch oven, heat oil over medium heat. Add onions, saute 1-2 min; add carrots, potatoes and tomatoes. Stir in garlic, cumin, smoked paprika, curry, white pepper, cayenne, and salt. Simmer about 5 minutes, stirring occasionally to prevent scorching. Add 1 cup water. Continue to simmer for about 10-15 minutes until potatoes are almost tender. Add more liquid if necessary. Add cabbage and green pepper, stir. Continue cooking about 5 minutes. Adjust for seasonings. Serve warm. In a medium bowl, combine tomatoes, onion, garlic, cilantro and jalapeño (if using). Set aside. In a small bowl, whisk together mayonnaise and sour cream until combined. Season to taste with the halved lime, salt, pepper and chipotle (if using). Set aside. In a medium bowl, mix together the flour, chili powder and 1½ t. each of kosher salt and black pepper. Pour the milk into another medium bowl; place the fish into it. Pour ¼ cup of the peanut oil into a 12” frying pan and place over medium-high heat until it shimmers and is about to smoke. Remove fish pieces from milk bath and dredge them lightly through flour mixture, shaking to remove excess. Add butter to pan. Place some fish pieces in the oil, without crowding them, and cook until deep golden brown on one side, 3 to 4 minutes. Turn carefully and cook for 1 minute more. Remove to a warmed, paper-towel-lined plate and sprinkle with salt. Repeat with remaining fish. 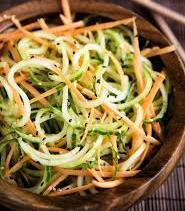 Add the strands of carrots and cucumbers; toss to combine. Adjust seasonings before serving.